Our top selling fragrances are high lighted in GREEN! Angel - This fragrance is a mysterious blend of sandalwood, bergamot, tropical fruits, vanilla, caramel and patchouli. Apples & Cinnamon - The aroma of a red juicy McIntosh apple, sprinkled with fresh ground cinnamon sticks. Asian Spice - The top notes are West Indian lime and sweet fennel. The middle notes are a woodsy patchouli, eucalyptus and red rose. The bottom notes are a rich woodsy spice. Autumn Harvest - This fragrance is a fruit and spice blend of anjou pear with mid notes of cinnamon leaf and a touch of rose and vanilla. Baby Powder - This fragrance is reminiscent of Johnson's Baby powder scent. Bayberry - This fragrance is a nice blend of fir and balsam and delicate spicy undertones of nutmeg and ginger. Bell-A-Roma Signature - A masculine fragrance features cinnamon, leather, cypress, sandalwood, amber, patchouli, lavender, mandarin orange, musk, vanilla, apple, cedar and bergamot. Blackberry Bliss - This fragrance is the scent of juicy blackberries and bright citrus perfectly blended with fresh herbs to create a sparkling berry fragrance. Burning Fireplace - This fragrance is a amber, earthy aroma with balsam, and fresh spices. Buttercream - A rich blend of fresh churned butter, sugar, and creamy vanilla bean. Calming - A soothing blend of lavender and ylang ylang. Candy Apple - A sweet treat on a stick, macintosh apple notes with sweet notes of sugar and berry. Cassia Myrrh Aloe - Essence of the Robe - A earthy blend of cassia, myrrh and aloe. Celadon Tea - A herbal tea blend with notes of citrus and a hint of floral notes. Cherry Cordial- - This fragrance is a true copy of chocolate covered cherries. Chocolate - This fragrance is a rich aroma of gourmet dark chocolate. Chocolate Chip Cookie - This fragrance is the wonderful aroma of freshly baked cookies with base notes of semi-sweet chocolate and vanilla. Christmas Tree - Christmas tree fragrance begins with top notes of pine and fresh fir balsam; with middle notes of cardamom and pepper; with a base note of Scotch pine. Cinnamon Bun - This fragrance is a cinnamon accord with warm nutty undertones along with the aroma of fresh baked bread, similar to ginger bread cookie. Cinnamon Stick - This fragrance is the aroma of freshly ground cinnamon bark. Citrus Basil - This fragrance is a citrus fresh blend of orange and crisp ozone with mid notes of basil, geranium and cyclamen, base notes of musk, amber and warm woods. Coconut - This fragrance is a delightful fresh coconut aroma that reminds you of suntan lotion. Coconut Lime Verbena - This fragrance is a clean citrus blend: top notes of lime and mandarin, mid notes of coconut and verbena with base notes of musk, sandalwood and cashmere woods. Cotton Clean - This fragrance is a crisp clean blend: top notes of lemon and lime, mid notes of jasmine and cotton blossom and base notes of sheer musk and blonde woods. Cranberry Crush - A medley of sharp berries, a hint of citrus zest, and a dash of fresh ginger make a refreshing fragrance loved at the fall Holidays. Creme Brule - Sweet scent of gourmand creamy caramel and vanilla with a touch of chocolate. Crispy Clean - a fresh laundry fragrance, blended floral notes - soft, fresh, clean and crisp. The strongest fragrance of the 3 laundry type fragrances that we carry. Delicious Apples - Fresh from the orchard - just picked delicious apples and fresh apple blossom. Eucalyptus - This fragrance is fresh picked eucalyptus leaves with hints of citrus, a strong energizing fragrance. Ferns & Petals - This fragrance is a sophisticated floral blend: top notes of dewy fern and peach, mid notes of orange flower, violet leaves and cyclamen petals with base notes of musk and vetiver. Fir Balsam - Christmas tree fragrance begins with top notes of pine and fresh fir balsam; with middle notes of cardamom and pepper; with a base note of Scotch pine. Forgotten Sage - A wonderful fragrance reminiscent of fresh herbal sage leaves, we have blended this fragrance with many other fragrances for clients. Fresh Cut Gardenia - This fragrance is a sensual floral blend of gardenia with notes of jasmine, clove, sandalwood and magnolia blossoms. Fresh Cut Grass - This fresh fragrance is a duplication of the smell of fresh cut grass in the morning. Fresh Linens - This fresh fragrance is a clean accord with soft subtle back notes of powder and musk, the third of our laundry type fragrances. Grapefruit - Sweet citrus scent reminiscent of a fresh cut morning grapefruit. Holiday Bliss - This fragrance is a holiday blend of spices and berries. Holly Berry - This fragrance is a well-balanced blend of holly berries, bayberry, pine, cinnamon, clove, and lemon rinds. Hydrangea - Hydrangea flowers are among the most fragrant flowers, fresh, yet sweet hydrangea that is aromatic and uplifting! Invigorating - This a fragrance is a blend of eucalyptus with a touch of peppermint, the name says it all. Island Botanical - This fragrance is a floral blend of tropical flowers, base notes of gardenia. Italian Fig - W Scent - Unveil the sweet fragrance of sun ripened Italian figs entwined with signature notes of jasmine and sensual sandalwood. Japanese Cherry Blossom - This fragrance is a botanical blend of Japanese cherry blossoms, jasmine, fruit nuances, lilies cedar wood and light musk. Jasmine - The alluring scent of beautiful and mysterious jasmine flower. Jasmine Rose- - The alluring scent of beautiful and mysterious jasmine blended with strong notes of rose petals. Kiwi Melon - This fragrance is a tropical blend of kiwi, peach and casaba melon with mid notes of violet, black currants and jasmine, base notes of sugar blossom. Lavender - This fragrance is a wonderful aroma of true lavender flowers, beautiful floral and a top seller. Leather - Fresh tanned leather enhanced with the massage of summer saddle soap. 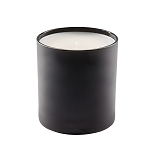 Leather & Suede - The lavishness of leather and suede is captured in this scent with warm woods, rich amber and spice. Lemon Grass - his fragrance is a refreshing blend of lemongrass with top notes of lemon and orange tea, mid notes of freesia and a hint of patchouli. Lemon Lavender - This fragrance is a clean calming blend of lavender and lemon with top notes of pineapple, mid notes of cyclamen and eucalyptus, base not of vanilla. Lilac - This fragrance oil by Natures Garden is the aroma of a freshly blooming lilac bush. Macintosh Apple - This fragrance is the juiciest, freshest, first bite of the Macintosh apple just picked from the tree. Magnolia Blossom - A luxuriously romantic floral with sweet magnolia, white sandalwood and soft amber. Mango Mandarin - This fragrance is the refreshing aroma of freshly sliced mandarins and tangerines on a bed of diced ripe mango. Midnight - A masculine blend of eucalyptus and lavender. Morning Rain - This fragrance is a refreshing clean aroma with hints of lily of the valley, fresh hyacinth, with a top note of wisteria. Mountain Berry - This fragrance of mountain berry blossoms enhanced with juicy berries. Mulberry - This fragrance is a classic mulberry enhanced with wild berries and bitter orange peels. Orange - This fragrance is fresh squeezed oranges. Orange Spice - This fragrance is a blend of fresh orange with not of cinnamon and spices. Oriental Nights - The top notes are woodsy patchouli, eucalyptus and red rose. The bottom notes are a rich woodsy spice. Pallazo - A Bell-A-Roma exclusive, floral blends of jasmine, lily of the valley blended with warm woods and soft musk. Patchouli - This fragrance is an earthy aroma of true herbal patchouli. Patchouli & Sandalwood - This fragrance is a blend of patchouli and sandalwood, the sandalwood adds a floral touch to an earthy under tone. Peach Nectar - This fragrance is a juicy fresh ripened peach. Peony - This fragrance is a romantic, powdery, floral. By far one the finest floral fragrances. Peppermint- This strong peppermint oil is true to form with under notes of spearmint. Plumeria - This fragrance is a tropical flower with not of jasmine and lily of the valley. Pomegranate - This fragrance is the sweet aroma of fresh slice pomegranate. Pumpkin Pie - This fragrance is a strong pumpkin pie fragrance with strong cinnamon notes. Raspberry - This fragrance is a classic fresh rasberry enhanced with berry notes. Red Currant - This crisp and tart fragrance begins with top notes of black and red currants, cassis, and strawberries; followed by a sweet deep floral rose; with base notes of oak moss and musk. Refreshing Spa - This fragrance is a refreshing blend: top notes of peach, apple and leafy greens, mid notes of cool herbs, heliotrope, cyclamen and lavender with base notes of transparent musk and sandalwood. Rosemary Bergamot - This fragrance is a calming blend of orange with mid notes of rosemary and lily with base notes of vanilla, musk and blonde woods. Sage & Citrus - Wonderful aroma of top notes of mandarin, tangerine, ruby red grapefruit, and lemon rinds, with base notes of fresh sage leaves. Sandalwood - A exceptional sandalwood fragrance, smooth undertone of light floral. Sandalwood & Patchouli - This fragrance is a earthy musk blend of patchouli and sandalwood, the aroma of patchouli will make for a peaceful mood. Sensual - This fragrance is a romantic blend of florals with notes of sandalwood, soft woods. Snowflake - This is a blend of our cotton clean fragrance with lavender, a clean and calming fragrance. Spiced Pear - This fragrance is a fruit and spice blend of anjou pear with mid notes of cinnamon leaf and a touch of rose and vanilla. Spiced Plum - A blend of plum, mulberries and spiced pear. Strawberry - The sweet ripened strawberry fresh picked. Strawberry Kiwi - The in house blend of strawberry with kiwi melon. Sugar Cookie - The irresistible fragrance of fresh baked sugar cookies, a strong fragrance. Sunny Beach - This fragrance is a tranquil blend of orange blossom, lavender, jasmine, rose and a base note of musk. Sweet Pea - This fragrance is a intoxicating floral blend of sweet pea petals and watery pear with freesia, fresh raspberry, and soft musk. Tobacco Bergamot Ylang - This fragrance is a blend of tobacco, ylang and bergamot. Tobacco Leaf - This fragrance is described as a fresh, citrus top with juniper berries and woodsy notes of vetiver. This wonderful scent begins with top notes of lemon, orange, and verbena;. followed by middle notes of juniper berry and hay; all sitting on base notes tobacco. Tropical Storm - This fragrance is a blend of coconut, peach and tropical fruits. Tuberose - This fragrance is tuberose, jasmine, lily of the valley, and ginger; sitting on base notes of violet, ylang ylang, peach, vanilla, and fresh woods. Vanilla - A rich French vanilla aroma, strong vanilla fragrance. Vanilla Lime - This fragrance is a smooth and refreshing blend - the richness of vanilla with hints of sweet cane sugar and the zest of a lime twist. Watermelon - A fresh melon note blended with tropical fruits. White Cherry Blossom - is a well-rounded blend of pink Japanese cherry blossoms and fragrant mimosa flower petals, with warm base notes of vanilla, Tonka bean, and oriental woods. White Tea & Ginger - This fragrance is a sophisticated blend of orange, lemon, peach with mid notes of white tea, ginger and clove and base notes of amber, armoise and warm woods. Winter - This fragrance is a warm blend of herbaceous pine with top notes of mint, citrus, nutmeg, cinnamon and clove, mid notes of lavender, eucalyptus and Siberian pine, base notes of pine, woody and vanilla. Ylang Ylang - This fragrance of ylang flower, jasmine and Asian floral notes blends wonderfully into a floral top seller. Exotic Wood & Cardamom - Exotic rose wood and cardamom give way to a smokey blend of rare oud wood, sandalwood and vetiver. Tonka bean and amber add to the distinctive masculine fragrance. Peppercorn & Citrus - masculine blend of pink peppercorn, citrus, peppermint, vetiver, nutmeg, grapefruit, cedar, sandalwood and labdanum. A complex fine fragrance that offers an intense combination of clean and vibrant notes. Velvet Moss & Citrus - Arefined and sensual fragrance with base notes of velvet moss, sheer musk, top notes of sparkling bergamot complemented with tangerine and melon de cavaillon. Fig Leaf and Almond - Asubtle yellow plum note is woven through the green, bright scent to suggest the fruity sweetness of fig with a hint of almond and a woody note of sandalwood and cedar to round out the intensity of this fragrance. Rose and Oud - The floral fragrance of damask rose gives a rich and textural note that is wrapped with smoky oud wood with hints of clove. White Tea and Amber - This fragrance is a sophisticated blend of orange, lemon, peach with mid notes of white tea, ginger and clove and base notes of amber, armoise and warm woods. Citrus and Herbs - This fragrance is a citrus fresh blend of orange and crisp ozone with mid notes of basil, geranium and cyclamen, base notes of herbs, musk, amber and warm woods. Peony and Leather - Peonies in full bloom with a bite of red apple and jasmine rose mingled with soft new leather. Intoxicating! Oud & Bergamot - An alluring blend of precious oud from Southern Asia with crisp bergamot and an orange granite accord. Blackberry & Bay - A burst of freshly picked blackberries blending with bay and brambly woods. A fine fragrance of opposites. Sweetgrass and Sage - Fresh sweetgrass with a lovely pungent sage undertone to counterbalance the sweetness. Fresh, clean and delightful fragrance. Sandalwood and Patchouli - This fragrance is a earthy musk blend of patchouli and sandalwood, the sweet aroma of patchouli will make for a peaceful mood. Cotton Blossom and Lavender - A clean fragrance top notes of lemon and lime, mid notes of jasmine and cotton blossom and base notes of sheer musk and blonde woods all blended with calming lavender. Woods and Petals - This fragrance is a sophisticated floral blend: top notes of dewy fern and peach, mid notes of orange flower, violet leaves and cyclamen petals with base notes of musk and vetiver. Grapefruit & Tobacco Leaf - Our Grapefruit & Tobacco Leaf candle blends the freshness of ripe grapefruit with the unexpected notes of the tobacco leaf to create a wonderful blend of sweetness and exotic. Tobacco Leaf and Ylang Ylang - Our Tobacco Leaf and Ylang Ylang candle centers arounf the cured leave of the tobacco plant blended with the floral notes of Ylang Ylang. Lavender and Amber - The soy candle is a blend of true lavender flowers, a beautiful floral combined with the burnt wood notes of amber. Saffron and Iris - The heart of this candle includes saffron, iris and sandalwood adding spicy and powdery shades warmed by creamy woody notes. Eucalyptus and Mint - Our Eucalyptus & Mint scented candle combines cool eucalyptus and mint with hints of bright citrus and garden herbs for an invigorating, clean, and herbal scent. Bergamot & Coriander - An energizing blend of clean citrus Bergamot essential oil blended with the fresh green fragrance of Coriander. This fragrance blend creates the perfect invigorating aroma and therapeutic experience.